​School is almost out, which means it is almost summer - which brings fun times of beaches and campfires and NO SCHOOL. Summer also means an increase in underage drinking. 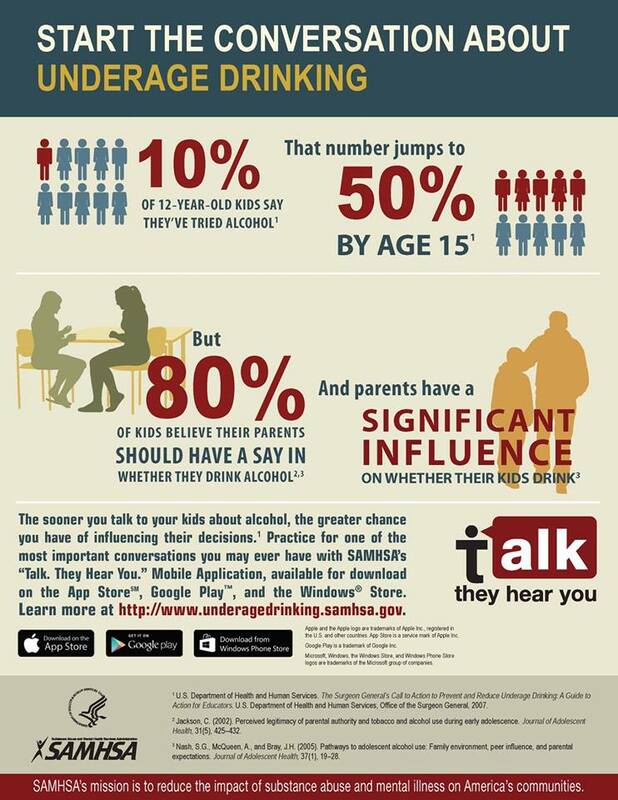 It is important to talk to your teen about the dangers of underage drinking. You may not think your teen is listening, but they are.